It was a bit of busy weekend. I volunteered at London VegFest one day, went along on another day as a customer, and fitted in some dancing at a Rock Night, a yoga session and a few episodes of Mad Men. So lunch needed to be quick to prepare (time was short), easy (creative skills in limited supply) and not too fiddly to eat (long lunch breaks are not anticipated in the coming days). Hence Monday morning saw me whipping up some vegetable noodles using left over cauliflower cooked in coconut milk, a chopped onion, rice noodles, vegan thai curry paste, and cashews. 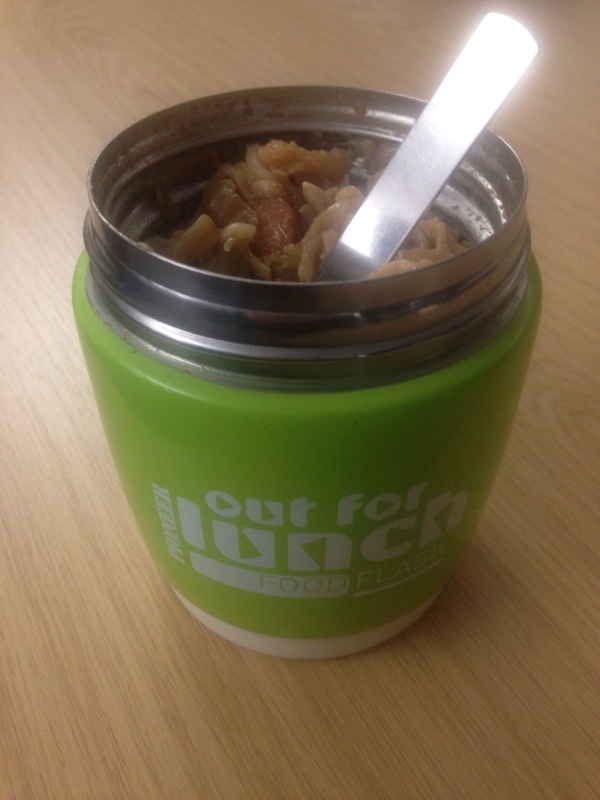 Then it went straight into my pre-warmed keep-it-hot lunch jar for when I got to grab those few minutes to refuel. Possibly not the ideal book to read while eating! 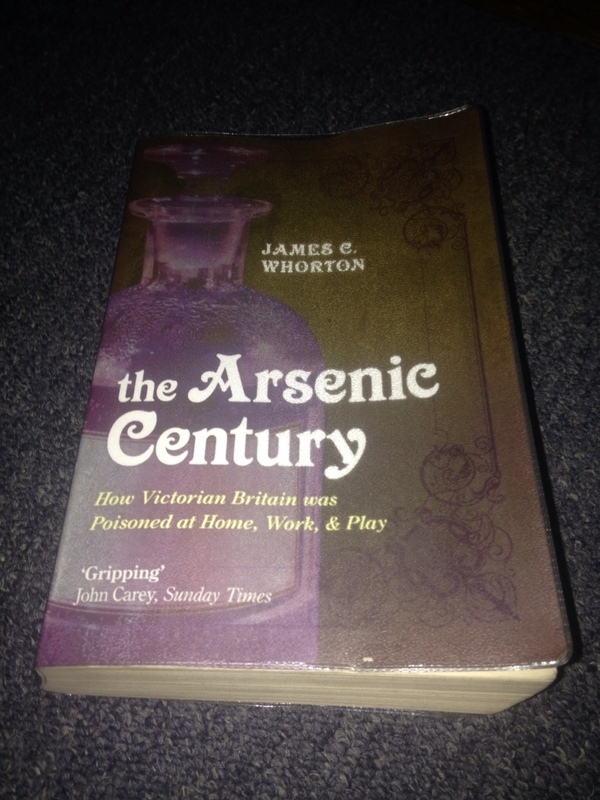 This is fascinating and looks at how arsenic seems to be in everything in Victorian England. What was really disturbing was how unconcerned everyone seemed to be about the dangers of Arsenic. If it wasn't being used to add green colour to everything from dresses to wallpaper to cake decorations then it was being added to candles, beer, and confectionery. And this is before you get to those who were deliberately partaking for reasons of health and beauty. A fascinating read which will make you question how safe anything is.